The Cape Fear region has an abundance of restaurants that specialize in delicious and creative seafood cuisine, and the Shukai Thai & Sushi Bar is no exception to this legacy. 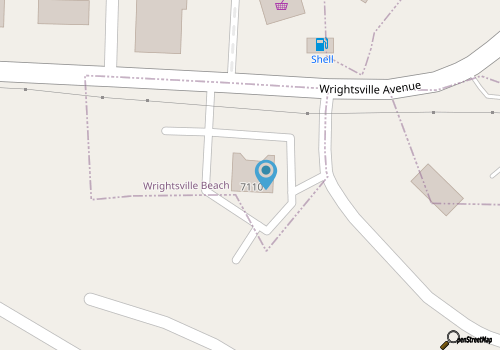 Located close to the Wrightsville Beach Causeway in a smaller section of Wilmington, this fresh sushi and Japanese / Thai restaurant can effortlessly cater to appetites and wallets of all sizes. The colorful sushi is obviously the star of the menu, and patrons will have their pick of both classic and more eclectic specialty rolls. Enjoy perfectly portioned spicy tuna, salmon or California rolls, or try something new like the Sweetheart roll with avocado and yellowtail Tuna, or the Amigos Maki with shrimp tempura, avocado, mayo, and smelt roe. Hungrier patrons will want to start with the full page of sushi delicacies and then work their way to the abundance of Asian cuisine which includes fried rice and noodle dishes, curries, Thai specials, soups and salads, and delectable entrees. With a range of traditional Thai and Japanese dishes, like Pad Thai and Tangerine Duck, patrons can enjoy a full world of flavors without veering too far from the Cape Fear River. Always satisfying for a light lunch or multi-course dinner, Shukai Thai & Sushi Bar will inspire visitors and locals alike to dive into something deliciously different. Call (910) 509-4005 for current hours.